The Patna High Court in Ram Rekha Pandey vs. State of Bihar has upheld a notification of Bihar Government, issued in 1980, extending the protection of Sanction to police officers of the state charged with the maintenance of public order. Full Bench comprising of Acting Chief Justice I. A. Ansari, Justices Chakradhari Sharan Singh and Navaniti Prasad Singh referring to Apex Court decision in Om Prakash vs. State of Jharkhand, also quashed an order of Chief Judicial Magistrate taking cognizance of the offences allegedly committed by Rail Police officer. In 1980, Bihar Government Notification expanded scope of protection of sanction to Police officials in charge of maintenance of public order. In 1990, CJM took cognizance of the offences punishable under Sections 147, 323, 353, 342 and 379 of the Indian Penal Code,allegedly committed by a Rail Police officer in Bihar. 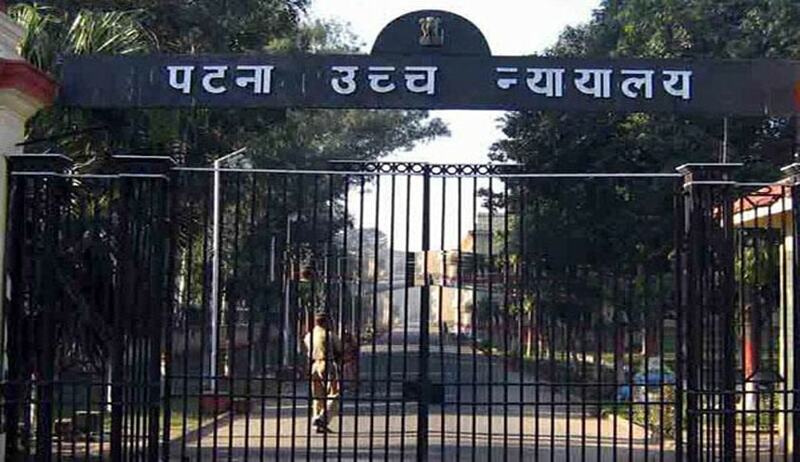 The Rail Police officer under Section 482 of CrPC moved Patna High Court. Single Bench referred the question raised on the aspect of Sanction to Division Bench. Division Bench later made a further reference to Full Bench. The Bench said: The Supreme Court, has, thus, taken note of the notification, in question, observing that the same extends protection to all officers and men of the police force of the State of Bihar and, therefore, the said observation of Supreme Court in case of Om Prakash (supra), in our view, is direct answer to the reference made by the learned single Judge and the Division bench. Invoking the said notification, which requires sanction for prosecution as condition precedent for taking cognizance of offence alleged to have been committed by a Police Officer, the Supreme Court quashed the complaint cases filed against the appellants of that case, who were the Police Officers. In Om Prakash case, Apex Court has held thus: “Unless unimpeachable evidence is on record to establish that their action is indefensible, mala fide and vindictive, they cannot be subjected to prosecution. Sanction must be a precondition to their prosecution. It affords necessary protection to such police personnel. The plea regarding sanction can be raised at the inception". The notification, dated 16.05.1980, cannot be held to be beyond the scope and/or powers conferred on the State Government under Sub-section (3) of Section 197 of the Code of Criminal Procedure, the same having been applied by Supreme Court in case of Om Prakash vs. State of Jharkhand (supra) and criminal prosecution having been quashed against police personnel on that ground. We are mindful of the fact that the question of jurisdiction of the State Government to issue notification, granting protection to police personnel in exercise of power under section 197(3) of the P.C., was neither raised nor decided. In view of the said notification, the previous sanction of the offences alleged to have been committed by the Police Officers, while acting or purporting to act in discharge of his official duty is a condition precedent. Answering the reference as aforesaid, the Full Bench quashed the order by CJM taking cognizance by observing: It is apparent from the complaint that the occurrence had taken place at the Railway Station, where the petitioner was posted. In such circumstances, in our view, the learned Court below committed an error by taking cognizance without sanction as required under Section 197(3) of the Code of Criminal Procedure read with the Notification, dated 16.05.1980.